Director of music/media labels DESKPOP and FRIGHTHOUSE, singer/producer BRAZ_OS has selected a handful of gorgeous tunes that he's been loving all throughout the month of February. 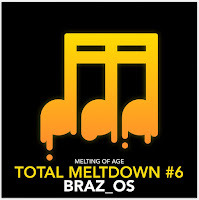 Be sure to share and vibe to this month's TOTAL MELTDOWN playlist. From Portland, Oregon, bass producer, Send Off released his debut EP, titled You Were Wrong. The three-track project gives listeners an idea of the kind of energy Send Off truly aspires to emulate in his music. 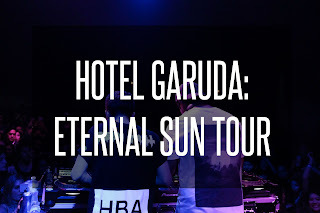 Each track is composed of dark and rigid signals with dense bass projecting a raging hue to the EP. 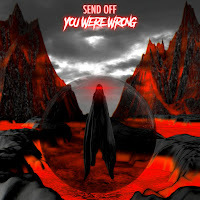 You Were Wrong displays a different side of Send Off and shows us that his style is emerging into another realm of bass music. Below check out the Artist Q&A with Send Off all about his new EP You Were Wrong. Enjoy! Available for download and listen here! What inspired you throughout the creating process of the EP? A handful of things/people really inspired me to write this EP. It was a combination of the music I was listening to at the time, my personal life being a little rocky, and inspiration I drew from my friends that pushed me from start to finish. Do you have any favorite tracks from the EP? Many eyes have been on this Washington based producer Kwon for quite some time and with his new release, “Reflection Pool,” nothing but excellence oozes from his debut. Its dark and mysterious ambiance mixed with rich synths shows Kwon’s ability to gravitate listeners’ ears and hearts to every beat and melody. This masterpiece samples shadowy vocals with complementing ripples of drum runs only enriching the musical friction with intensity and dimensity. Below share and listen to Kwon’s “Reflection Pool”! Valentine's Day can be a difficult day for those who are lonely and single but with this new collab track with RoBKTA and Braz_OS, that day will no longer be a challenge. Sweet and light vocals combined with playful drums and groovy synths has this song warming your musical soul. Released via DESKPOP, this pop inspired track, "Cactus on Valentine's," is not your common day of love song but honest and pure pieces of melody and arrangements for the solos. 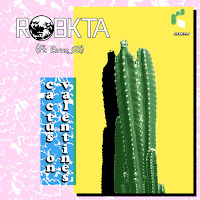 Below share and listen to RoBKTA's "Cactus on Valentine's" ft. Braz_OS! Also available for download on Bandcamp here! MAIN-ROOMWritten by: McTavish Jones The powerhouse collective, Bedroomer released their latest compilation Main -Room. Hailing from Toronto, Canada the extensive roster of artists incorporated trap, jungle, footwork and dance music to create a high intensity yet soft and somber sound. Using fast and complex beats along with warm and swelling basses the sound morphs into a dreamy melancholy sensation. Artists such as Sleepycatt, Internet Daughter, and Iyer create fast paced tracks that compliment the album and overall aesthetic. This whole compilation brings and displays the roots of footwork, jungle, and house music while mixing and developing new a style. Below share and listen to Bedroomer's Main-Room! This seven-song EP is a special gem ready for your full mind and heart. The soulful voice of Brooklyn-residing artist, Abbi Press, twinkles and echoes within every track. The production is beautiful and encompasses her artistry on the grandest scale. "Red Velvet," produced by exyle and west1ne, is a glittery and emotional driven introduction to Chrysalis. Every track is an outstanding piece of her, such as "Sweet Savage Skepticism," a sweet eerie composition of whispering vocals and pattering drums and violin. Abbi Press has certainly delivered a solid EP and has presented herself as an artist and vocalist who is not afraid to bring vulnerability and courage in her music. 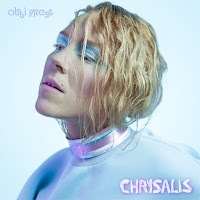 Below share and listen to Abbi Press's EP, Chrysalis. Also available for purchase and download here! You'll feel yourself floating on a cloud of melodies with this new track from Bloodcode and Cosmicosmo. Joining for another heartfelt track, "Paradise Plaza" exuberates feelings of love and positivity. Featuring feathery vocals from Tofuku, this new collaboration echoes glistening chimes and defused future bass beats right throughout the track. It's zealous kawaii and tropical influence also makes "Paradise Plaza" a fitting and complimenting piece for each artist. 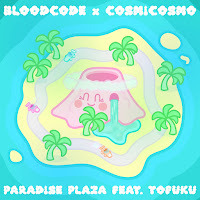 Below share and take a listen to Bloodcode and Cosmicosmo's "Paradise Plaza" featuring Tofuku! Bohkeh is back with another brilliant collaboration and this time it's with the soulful New Jersey artist Ehiorobo! Titled "Happy Place," this track will make you feel like you are in your own happy place. With Ehiorobo's beautiful falsettos and Bohkeh's energetic synths, this collaboration's rapturous aura only transports listeners making this tune one to brighten every soul. Below engage into the Artist Q&A with Bohkeh and Ehiorobo all about their new song, "Happy Place"! Enjoy! 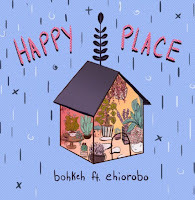 Below share and listen to Bohkeh's "Happy Place" ft. Ehiorobo! How did this collaboration arise? Bedroomer Collective is dropping another fire compilation titled, Main-Room, and it's filled with artists who's tracks are more than club ready. One of the Leaders of the Toronto based collective, Kare, her track premiere sets the right tone in the direction you can expect Main-Room to go in. With Kare's "OFTEN (bringitbackgyal)," incorporating the weekend vocals and glistening sythns, it gives us anticipation for what Bedroomer's new compilation will bring all together. Below check out the Artist Q&A with Kare as she talks about what inspired Main-Room and what it will deliver! Enjoy! Main-Roomdrops Febuaray 16th, Thursday via Bedroomer! What inspired this new compilation? From Newark, New Jersey, relentless Jersey Club artist, R3LL, aspires to pursue a sound that not only addresses his hometown but as well as intertwining other styles he loves. With a recent release of a Kehlani remix, "CrZy" and two successful EPs, Visions and Directions, R3LL takes his artistry to all spectrums of Jersey Club, making his style unique and unlike your usual club artist. 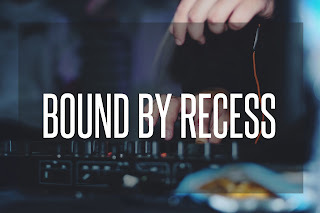 In each track, he reveals not only his love for spreading the sound of jersey's club scene but also displays his skill to incorporate prime and catchy samples and sounds of deep house, electro, and future music. 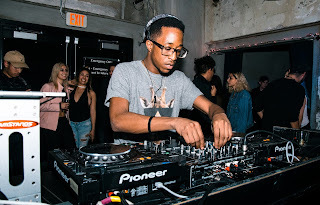 From heated mixes to his signature club edits [found in his second SoundCloud, R3LL (Hidden Gems)], R3LL conquers it all and is no doubt a key figure in today's Jersey Club community. So for Point of View Interview #45, we had the honor to ask R3LL a few questions regarding his artistry beginnings and inspirations. Enjoy! 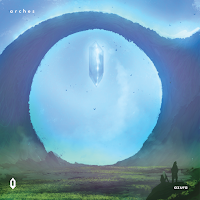 After quite some time, producer AZURA, from Detroit, Michigan, finally released his new awaited EP, Arches. The seven-song compilation resonates light and adventure in every track inviting you to immerse yourself in a world of AZURA. Various tracks, such as, "Oasis," featuring the lovely voice of Zoë Wick, and "Redemption" offer thundering instrumentals and magnetic synths giving AZURA's artistry great excitement for any listener. Below check out the Artist Q&A we had with Azura talking all about his inspiration behind the new EP, Arches! Enjoy. What was the inspiration for your new EP, Arches? There's nothing like listening to music where an artist's inspiration and creativity bleeds through every aspect and angle of a song. Currently based in New York, ABSRDST's lively and charismatic personality in all the tracks he constructs is what makes his sound attractive to many. 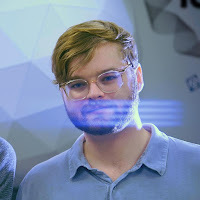 Tracks like, his collab with Diveo, "In Case in Crashes" and "Hold Me Squeeze Me" hold glossy synths and gleeful vocals, ABSRDST producing a whole new world for listeners. From doing remixes for Lindsay Lowend and Foxsky to collaborating with Diveo on an auditory project called ICIC, this New Yorker aspires to explore the various opportunities that music and art have to offer. Below check out the Point of View Interview with ABSRDST and read about his inspirations and start on music! Enjoy.